For those with vision loss due to macular degeneration and other macular diseases, the loss of central vision affects the ability to see near and far. The inability to perform favorite hobbies or to get around independently can be discouraging and scary. But today's Macular Degeneration News will bring you hope and encouragement as you discover how technology is changing rapidly and allowing those who are legally blind to read, work, and travel. Yvonne Felix who has Stargardts' disease shares that, "eSight has literally transformed my life. I can now independently do virtually all Activities of Daily Living (ADLs). In addition to taking care of my family, I work fulltime, independently doing all of the things most people take for granted -- commuting on a train, flying on planes, attending conferences, leading meetings, and giving speeches. I even compete in golf tournaments. I no longer receive government disability payments. Instead, I proudly pay taxes." 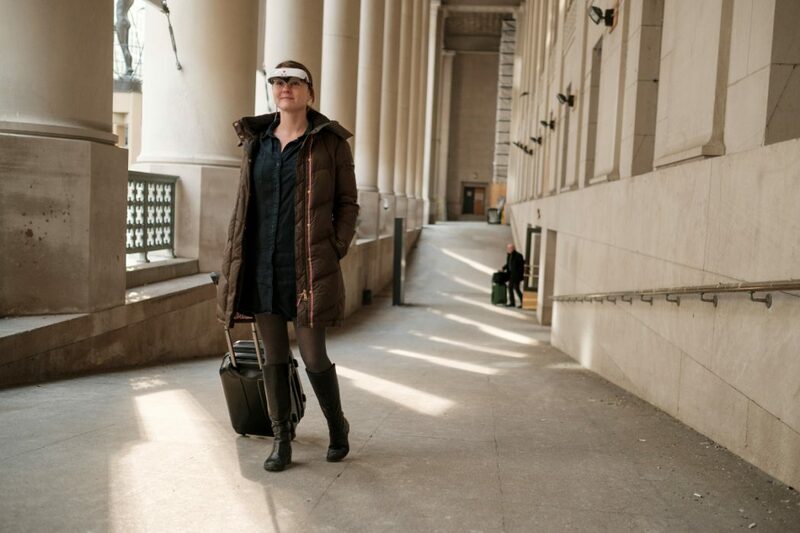 eSight's eyewear combines a high definition camera, display screen and computer making it possible for those who are legally blind to gain restored vision and independence all hands free. Images can be zoomed in or zoomed out, contrast can be adjusted and brightness can be controlled all with a special controller that connects to the headset. "eSight 3 is a quantum leap forward, even from the previous version of the technology that transformed my life 3 years ago. eSight 3 not only provides me with dramatically improved sight, it is much smaller, lighter, cooler looking and very comfortable to wear. I can wear it all day. I can even use its Wi-Fi and HDMI capabilities to stream digital content, or send pictures and videos. I simply cannot imagine my life without eSight 3."